CHIRP Radio's 2019 Spring Fundraising Drive continues until Friday! We have a $25,000 goal - help support local, independent radio by making a tax-deductable contribution today! Monday April 1st: Get foolish with CHIRP DJs at Drink Drank Punk at The Native! Share March 25, 2019 • http://chrp.at/1pmy • Share on Facebook • Tweet This! Categorized: CHIRP Radio News and Info. Shawn Campbell writesSupport CHIRP today - get a limited edition thank-you gift! CHIRP is a listener-supported radio station, and during our spring fundraiser from March 18-29, we hope you'll show your support for the station by making a tax-deductible gift. Your generosity makes a real difference in the life of the station! 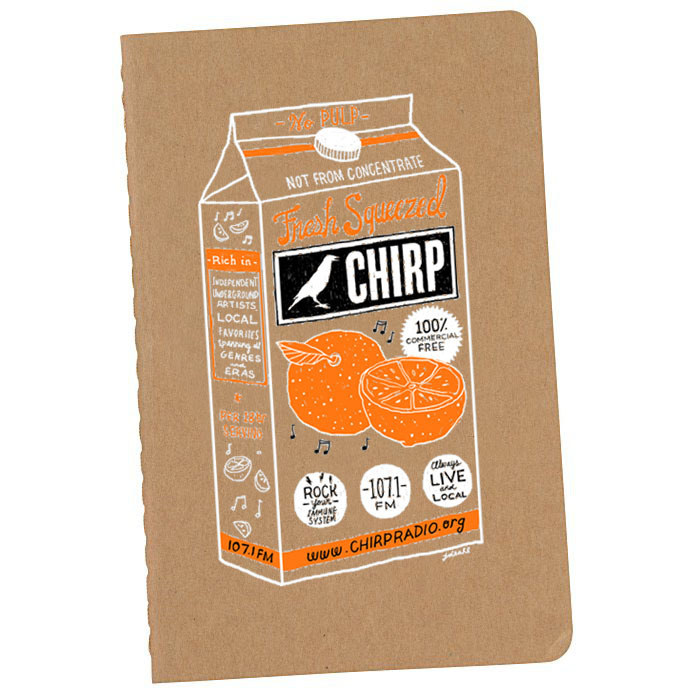 A pair of pocket notebooks with a healthy, refreshing design by local artist Jessica Deahl! A cool t-shirt (standard or fitted style) with the Jessica Deahl artwork + the CHIRP Membercard with great 2-for-1 deals around the city! The return of the CHIRP Festival Blanket, now with our broadcast logo, just in time for summer festival season + the CHIRP Membercard with great 2-for-1 deals around the city!! Give $365 and get all these gifts! Or go to $500 and get all the gifts as well as a personal station tour! All of these items are limited edition, available only through 6pm on Friday, March 29th. 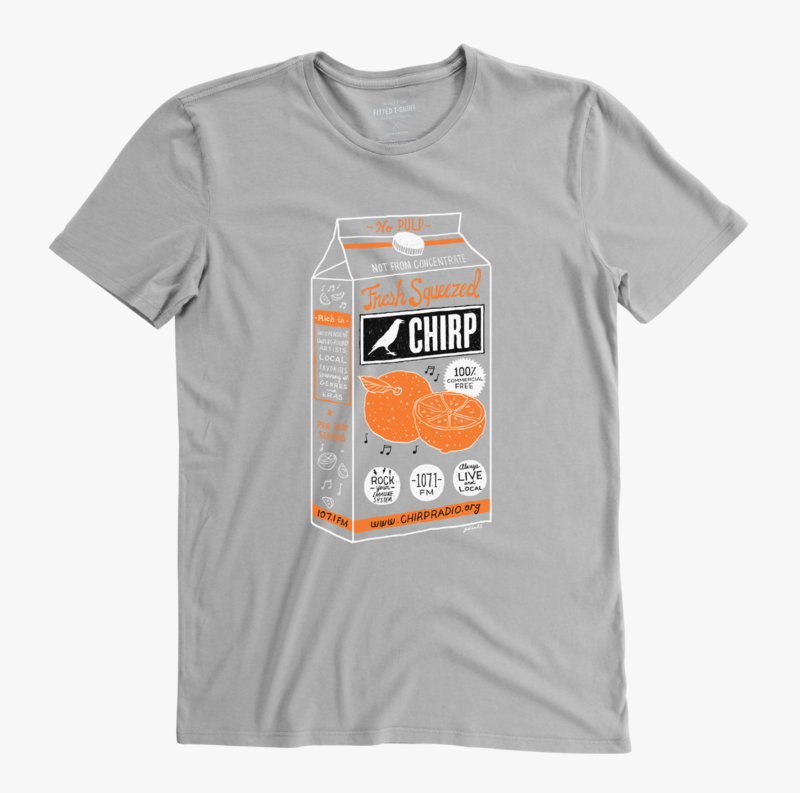 Support CHIRP today and grab something cool for yourself! Share March 15, 2019 • http://chrp.at/1qhf • Share on Facebook • Tweet This! For a complete listing of the CHIRP Radio charts, click here! Share March 5, 2019 • http://chrp.at/1pSn • Share on Facebook • Tweet This! Monday, February 25th: THe Music Box Theatre presents a special screening of Rock 'n' Roll High School! Share February 25, 2019 • http://chrp.at/1pqa • Share on Facebook • Tweet This! I don't know about you, but the lead up to the 91st Annual Academy Awards ceremony has been just as tumultuous as any political election. 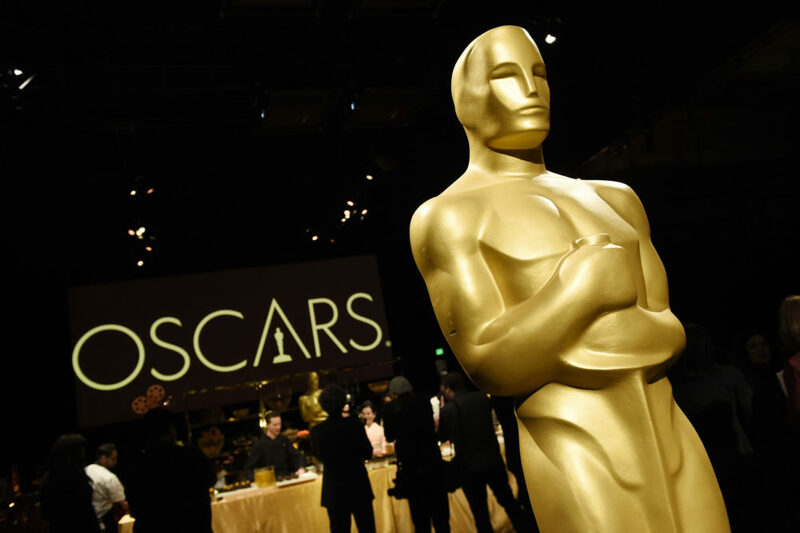 First, there was the much-ballyhooed idea of including a "Best Popular Film" award--not that it would have been part of this year's awards, but used in 2020--that caused an uproar, followed by the invite then dis-invite for comedian Kevin Hart to serve as host, causing more protest that eventually led Hart to throw in the towel. Then the Academy announced it would only allow two of the Best Original Song nominees to perform, which quickly got nixed. Then the Academy thought it a good idea to remove some of the categories and air the acceptance speeches sometime later during the broadcast. Share February 23, 2019 • http://chrp.at/1pli • Share on Facebook • Tweet This!